· A body, a temple (of a person or animal). · A place of sacrifice, worship, consecration. · A meeting point between human and spirit beings. · A place where covenants are cut and vows are made. · A gate into the spirit world to make way for angelic traffic (a spiritual highway for angelic or demonic traffic. For this reason, when men on earth raise a righteous altar unto the Lord, it becomes a gateway to heaven – Genesis 28: 16-18). · A place that can either attract blessings or curses, depending on the spirits that are invoked to consume the sacrifice on it. God will never despise the incense that comes to Him from a righteous altar. Exodus 20:24-25 specifies what this altar should be (an altar of earth thou shalt make unto Me, and shall sacrifice thereon thy burnt offerings, and thy peace offerings in all places where I record My name I will come unto thee, and will bless thee). 1. Altars have power to bless or curse (Numbers 23:1-30). Altars can and do speak for generations (Genesis 28:11-22). 2. Altars stand as a memorial for those who raised them. Even the descendants of godly men who raised righteous altars are blessed by reason of God’s covenant relationship with their ancestors (Genesis 17:15-21, Genesis 22:15-18, 1 Samuel 7:8-12). 3. Praise and worship presented from a holy and sanctified altar represent sweet incense that God cannot reject. 4. To make progress, you must destroy the old altar and its priesthood (see Judges 6:25-31). To obtain the inheritance the Lord has given to us we must deal with the old altars in our families, communities, cities and countries that were raised unto Satan. Gideon did this and the Lord brought him into his destiny as a “mighty man of valour” (see Judges 6:11-32). 5. You can obtain open heavens by servicing your altar with sweet incense (of praise and worship) offered in righteousness. Altars open unseen doors in the realm of the spirit. These are the highways for angelic traffic. As gates, altars attract spiritual traffic depending on who built them. Once spiritual highways are opened, they can either become the gates of hell (Matthew 16:18) or the gates of heaven (Genesis 28:12-16). 6. One of the most important things we must do is to build altars of righteousness in our locations so that the Holy Spirit can enter through these gates to change the face of the earth. 7. An inheritance can be forfeited if it is not protected by an altar of righteousness. Do not forfeit your inheritance by serving idols. If you mortgage an inheritance to powers of darkness, you forfeit that lot (see Deuteronomy 8:19-20, Deuteronomy 9:4-6). Demonic spirits from hell, which come through an evil altar into the earth, oppress and disinherit the people who invited them. These spirits working hand in hand with wicked men bring troubles, sickness and death to families, communities and nations. The power you have to bind them and release the captives is directly proportional to the purity and sanctity of your personal altar. 8. An altar is an instrument of legislation. The corporate altar of the church is the strongest legislature on earth. Jesus raised the church to be the supreme legislature on earth (see Matthew 16:18). 9. In the realm of the spirit there is a clear network of altars. The smaller altars network with the bigger and stronger ones. An individual’s personal altar links up with the community altar, and the altars of the community link with the overall altar ruling the territory or the nation. Abraham in Genesis 12 & 28 raised these kinds of altars at Bethel and Ai. 10. If you desire to have greater victory in your spiritual legislation, then begin to network with other “watchmen” in your location to raise territorial altars. They are stronger. 11. The city altar you build provides a prayer shield for your city. We must return to the old pattern of grooming disciples like Jesus and the Apostles did. Let the Pauls groom the Timothys and let the older women teach the younger ones. 12. Through the corporate altar in your city you can help defend and strengthen the territorial church. God is building a people of power. 13. You have an obligation to build an altar that will bless and sustain the next generation. As a church, we have the power to open and shut the gates of heaven. Elijah did this in 1st Kings 17:1; 18:1-45. The revival must not stop with us. The women must teach their daughters wailing and their neighbours lamentation (Jeremiah 9:20). We must, in unity, love and wisdom operate the key of David (see Isaiah 22, 1st John 2:1-14). 14. From your altar you can enforce God’s judgement on the workers of iniquity in your nation. 1. Demolish old altars and repent over idolatry. In raising an altar unto the Lord we must ensure that we are not building on an existing altar that was raised to Satan. That is why we begin with repentance. We must be very thorough. Repent first of your own personal sins and the sins of your forefathers. It must be identification repentance like Nehemiah, Daniel and Ezra did on behalf of their people. 2. Stand as a Priest/King and plead for mercy. Identify yourself as a king and priest of God (see Revelation 5:10). Begin to appropriate what the scripture says in the book of 1st Peter 2:9 (But ye are a chosen generation …) concerning you. Our priesthood is after the order of Melchizedek and Jesus Christ. 3. Address the deity in the name of Jesus Christ, calling it by name. After taking a thorough repentance for sins committed, we have to break down evil altars and address existing altars, which hinder us. Using the name of Jesus Christ of Nazareth, address with the Word of God the deity which was enthroned and throw down any existing altars calling them directly by name. Acknowledge the abomination and God’s right to punish the sin of idolatry on your part and on behalf of your people. Realize that every idolatrous altar has links with Satan. Realize also that the worship given to the deities behind those idolatrous altars which dates back many generations even to the fall of man is in actual fact the enthronement of evil by Satan. 4. Renounce every existing agreement between Satan and those who built that altar. Renounce every token, dedication, vow, or promise made to that god. Renounce any binding words spoken and deliberately reverse any which may have been placed as injunctions or sanctions against those who will refuse to worship these idols. 5. Burn the tokens of the covenant. Everything about the old altar has to be brought out and burnt to ashes. 6. Defrock the former priesthood. Remove their priestly garments and take away their staff of authority as well as their mandate to minister at those altars. 7. Charge the whole of creation to bear witness to what you are doing. When they entered into these evil covenants our ancestors would invite creation to take note of their deeds. The rivers, mountains, sun, moon and stars were called to witness the enactment of ordinances. Therefore you must also address them to bear witness to your act of reversing of those covenants. Every word must be renounced, reversed and nullified. This is how to render those words powerless and make them of no effect. 8. Now you must raise a new altar to God. After all the above, you must now raise a proper altar unto God to replace the altar that was broken down and destroyed. A space should not be left vacant because the former spirits would come back to check whether the space is still available (see Matthew 12:43, Luke 11:24). 1. Locate a good spot and make it a place of worship and consecration. 2. Hallow it by pouring anointing oil or water on it. You may also use salt to sanctify the ground (if the altar is to be outside the house). 3. Call upon the name of the Lord and ask the three to bear record on earth and in heaven to take note that you are raising an altar to Him on that spot (see 1st John 5:7). Recite the covenants for the altar using Exodus 34:10, Deuteronomy 30:5 and Jeremiah 31:33. There can be no altar without covenants. After the prayers and reciting the covenants, the altar should be anointed with oil. 4. Name the altar. For example: an altar of consecration, an altar of remembrance, an altar of righteousness, an altar of restoration, an altar of mercy etc. Abraham named his altar by various names of God – which corresponds with the name via which the Lord revealed himself at that point. For example, on the mountain, when the Lord provided the lamb for the sacrifice, Abraham called him Jehovah-Jireh. 5. Mark your altar. 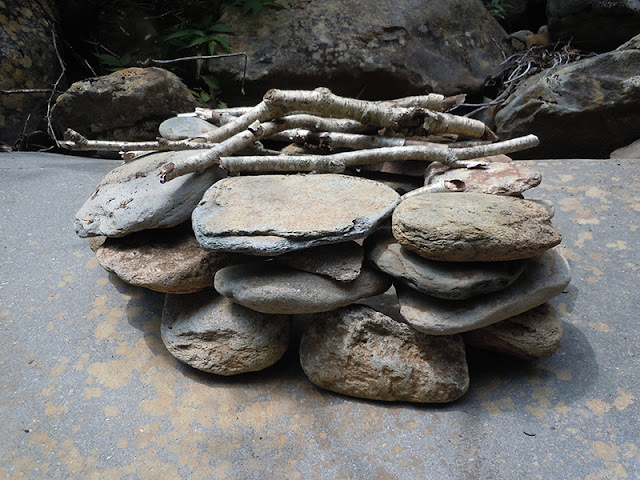 God directed Israel to use twelve stones to raise Israel’s national altar. The stones should be anointed with oil. You have to mark your altar with something memorable. In cases where possible, the use of 12 stones is preferable just like Elijah did on Mount Carmel. See Exodus 20:24-25.
WHO CAN BUILD AN ALTAR? Only a person who is spiritually alive and qualified can raise an altar. When God begins to speak to people about altars, He wants to enter into a fresh covenant with them. He wants to visit the land. He wants to bring about changes. That is why we must keep the altars of our nations alive. 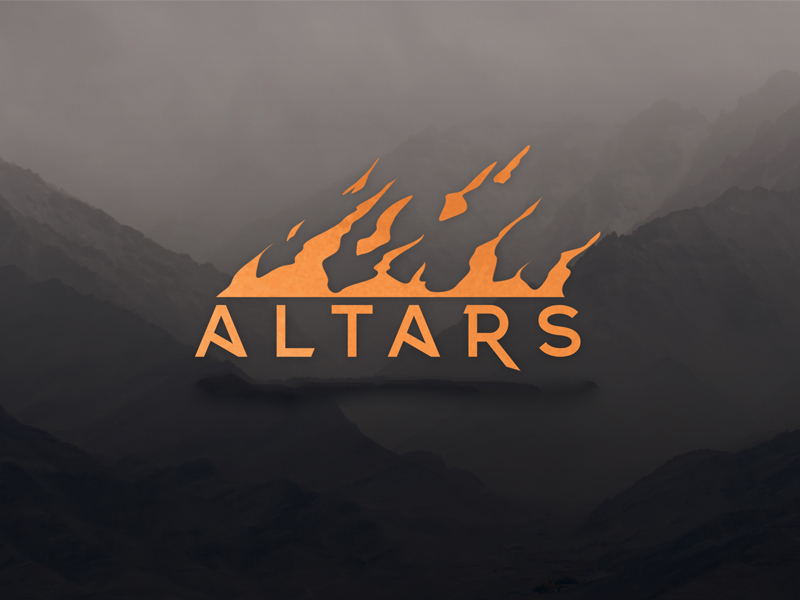 WHAT HAPPENS WHEN WE BUILD ALTARS? When God calls on people to repair their altars, He wants to redeem and empower them to carry out a major assignment for Him. When Elijah rebuilt the altar at Mount Carmel, this singular event caused ripples in the nations. According to 1st Kings 18:39, fire came down, and fear came back to the house of God. When altars are repaired, God judges wickedness in the land and when the Spirit of God touches the earth a new season begins. This is what happened in the days of Elijah when God visited the earth with rain after years of drought (see 1st Kings 18:40). All the prophets of Baal were killed. LET US NOW PRAY FOR OURSELVES. Let us pray for the grace to walk right and run our course to the end without missing the mark. 1. Ask the Lord to purge you inside and out. Purge us from – idle words, destructive words, besetting sin and all forms of corrupting influences from our ancestors and our foundations. 2. Ask God to help you to remain focused. 3. Pray that the Holy Spirit will become your friend, your guide, your intercessor, and your teacher. John 16: 8-15; Romans 8:26-27. 4. 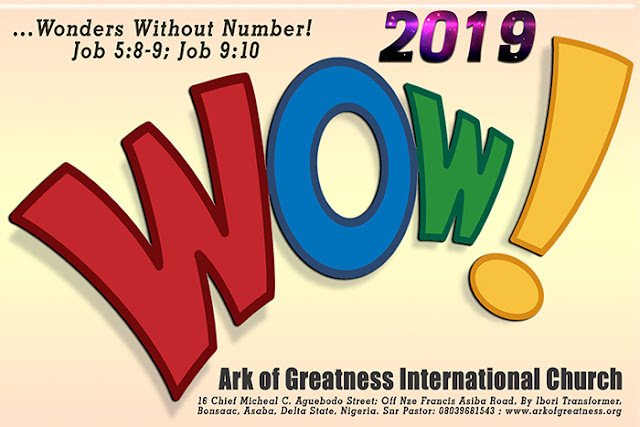 Pray from Ezekiel 36:11 that God would grant you help speedily and ask God for the following: Multiplication of your resources to do the work He has called you to do. Increase in the fruits of your labour and the work of your hands. Settlement of your old estate. Remind God to bring to fulfilment the things He has promised you. 8. From Isaiah 62:1-7 pray “Lord make me a watchman”. 9. Pray Ephesians 1:17-23 over your life.